Recently I saw a Russian movie based on the book Eternal Call by Anatoliy Ivanov. My mother asked me if I knew biography of the actor Peter Velyaminov in that movie. I didn’t, so found his life story on Russian Wikipedia and to say the least, I was shocked, but couldn’t help admire his attitude to life and happiness. Peter Velyaminov was born on December 7, 1926, in Moscow, the son of a hereditary military from an ancient noble family. Among his ancestors listed as gentry many famous personalities. Most titled of them was the founder of the beginning of XI century who became at the head of three thousand militia to serve for Yaroslav the Wise. He was a nephew of King Norway – King Hakon II. Velyaminovs were among the contenders for the Zemsky Sobor in 1613 to the Russian throne, along with the Romanovs. Peter’s father – Sergei Velyaminov was hereditary military. Before the revolution he graduated from Pavlovsk Military School in St. Petersburg in 1918, he joined the Red Army, was a member of the High Command of the Red Army. Was arrested in 1930 and held in camps for 17 years, mother lived in exile. In March 1943, 16-year-old Peter was arrested on charges of “participating in anti-Soviet organization” Revival of Russia “, was sentenced to 10 years hard labor and sent to a transit camp in Kotlas. According to one source, who was under investigation in the Lubyanka prison, Peter was arrested in one case with his father – former tsarist officer. In the camp Peter received the news of the arrest of his mother. He was so shocked by the news that cut his veins, but they saved him. In 1952 he was released (in the camp spent 9 years and 9 days). After the liberation of the camps Velyaminov three years he worked in Abakan Rafting. 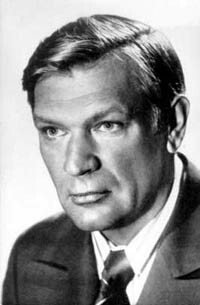 He began playing in amateur theater, where he sang, recited poems and played his first role – Maxim Koshkin of “Spring Love.” From 1952 – Actor Drama Theatre inAbakan, 1955 – Tyumen Oblast Drama Theatre. He has also worked in theaters Dzerzhinsk, Novocherkassk, Cheboksary, Ivanovo, Perm and Sverdlovsk. It is in Sverdlovsk Theater Peter saw Valery Uskov and Vladimir Krasnopolsky and was invited to appear in multi-part film “Shadows at Noon” in the role of the collective farmer Zahar Bolshakov. In 1972, after the success of the film “Shadows at Noon”, Peter Velyaminov became famous nationwide and moved to Moscow, where he joined the troupe of the Contemporary Theater. In the Contemporary Velyaminov played in the first directorial performance Galina Volchek “Climbing Mount Fuji”, and many other productions. In 1974 he joined the studio theater. Despite the national recognition through the movie, the authorities did not forget about his past. So, in 1979, he was not allowed into France with the delegation, which carried the film “Shadows at Noon”. In 1983, actor was rehabilitated. In 1990, he became a full member of the Russian Nobility Assembly, receiving a diploma number 20. In 1994-1997 he was Vice-marshal of the St. Petersburg Assembly of the Noble, and in May 1995 led a delegation of St. Petersburg of the Noble Assembly of the IV All-Russian Congress of the nobility. Since 1995 Velyaminov lived and worked in St. Petersburg, he died at the age of 82 a happy man.